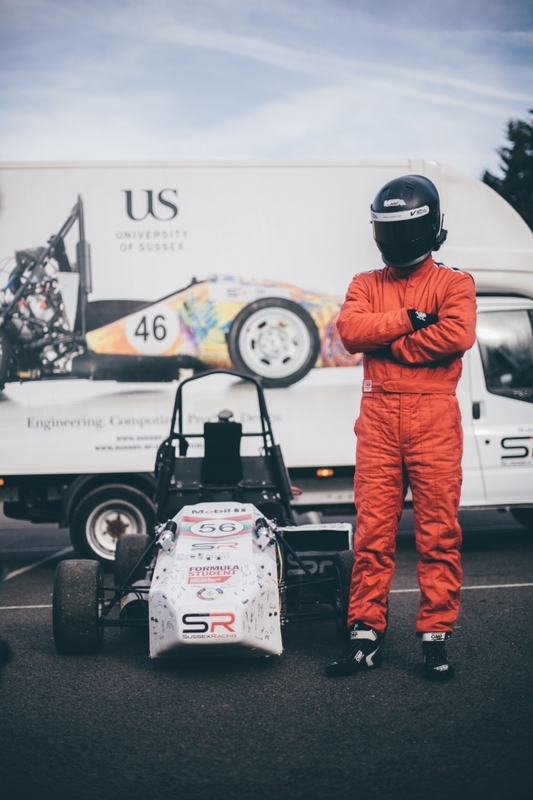 Mobil 1 Sussex Racing is the Formula Student team at the University of Sussex. Formula Student is an annual international event held at the Silverstone Race Circuit. The competition is organised by theInstitute of Mechanical Engineers and is Europe’s largest educational motorsport event. The aim of the competition is to designed, build and race a single seat racing car to be put through its paces over a race weekend in July. Mobil 1 Sussex Racing is the Formula Student team at the University of Sussex, just over the road from the Amex Stadium. The team are extremely excited to be displaying the work by engineering students from the School of Engineering and Informatics at the Mobil1 Brighton and Hove Motor Show. In recent years it has surged in popularity, consisting of a diverse combination of 2nd, 3rd and 4th year Automotive, Mechanical and Electronic Engineers, as well as a small team of Product Designers and Computer Scientists. The project is supported by a number of sponsors and supporters, including headline sponsor Mobil 1. Mobil 1 Sussex Racing in 2015 managed to get into the Top 10 in the UK at Silverstone and 28th overall. Into 2016 the team again secured a place within the Top 10 in the UK, and also winning the Business Presentation out of 105 Universities worldwide. Mobil 1 Sussex Racing are proud to support Help for Heroes, with a percentage of all donations being passed to the charity. The Nose Cone Club was created to allow supporters to have their signature on the front of the car, all for a small donation. In 2016 Mobil 1 Sussex Racing raised £1215 for Help for Heroes with the help of Santander donating £500.